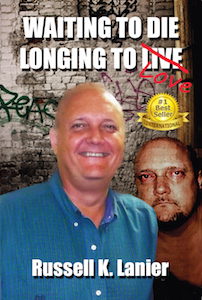 Congratulations to Russell K. Lanier for his #1 International Bestseller, Waiting to Die, Longing to Love! Organization for his bestseller, Waiting to Die, Longing to Love. Russell K. Lanier is an award-winning, university-educated television news producer. Russell was among the best in his profession garnering top ratings with nearly every show he wrote and produced during his twenty years on the frontlines of broadcast news. He even created a sports feature that later won the reporter assigned to the seasonal project an Emmy Award. Along the way, Lanier also developed a journalistic savvy about writing crime stories that intrigued his colleagues — he seemed to have an insider’s knowledge about street crime. But it was his secret, double-life that finally caught up with him and kept him from ascending the ladder to big-market success. While engaging in his passion of gathering the news, Russell became the news. He uses the same hard-hitting news writing style in his book, Waiting To Die, Longing To Love, that won him top billing in his profession. You will read how he finally finds victory when he comes face-to-face with his demon, addiction, in his sixth trip to rehab. He courageously tells the obscene truth about substance abuse. 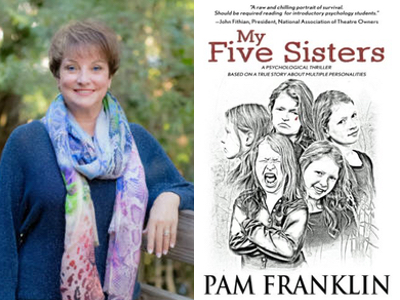 Congratulations to Pam Franklin for her #1 International Bestseller, My Five Sisters! Based on a True Story About Multiple Personalities. As a successful businesswoman for the past forty years, Pam feels her ability to overcome such a challenging childhood made her into the strong and versatile person she is today. When not working or writing, she spends time in Charleston, South Carolina with her daughter, Whitney, and her grandsons, Teague and Crews. She now resides in Celebration, FL with her husband of twenty-five years, Bobby. 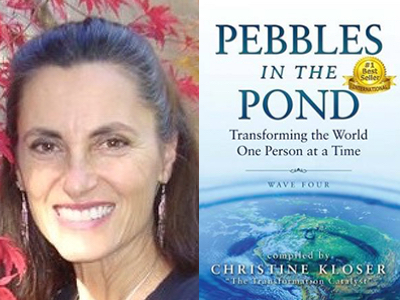 Congratulations to Melinda Kapor featured in the #1 International Bestseller, Pebbles in the Pond – Wave Four! One Person at a Time – Wave Four! A native Californian, Melinda Kapor never thought she would leave her home state, but her first trip overseas to Dubrovnik, then part of Yugoslavia, in the early 1980s, changed everything. Just fourteen months later, she was living in Italy, where she still resides today. With a degree in sociology from UC Berkeley, Melinda is an intercultural consultant, writer, and eclectic explorer of life. 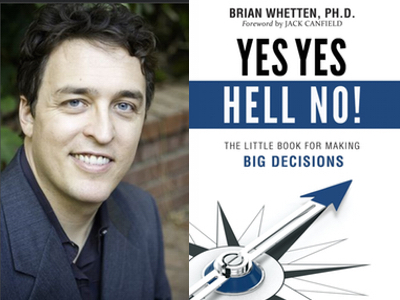 Congratulations to Brian Whetten Ph.D. for his #1 International Bestseller, Yes Yes Hell No! By the age of 30, Brian Whetten had received a Ph.D. in computer science from UC Berkeley, raised $20 million for two high tech startups, become an internationally known academic and speaker, made and lost millions – and burnt out twice. He had gone from “being the one in high school that the chess team made fun of” to seemingly having it all. Yet he felt miserable. In the midst of an emotional and spiritual crisis, he began reaching out for help, and found his worldview shaken to its core. This led to six years of deep inner work and a M.A. in Spiritual Psychology from the University of Santa Monica. Today, Brian delights in doing business in a different, more conscious, more purpose filled way – and in helping others do the same. He specializes in supporting entrepreneurs and executives as they build companies that create both money and meaning. He writes the conscious business column for the Huffington Post; is the author of both Selling By Giving and the soon to be published Love Beyond Belief; and has appeared on programs as diverse as the NBC show Starting Over and the MIT CIO Symposium. He lives in Los Angeles, where he and his wife spend much of their time wondering how their daughter can be so cute. 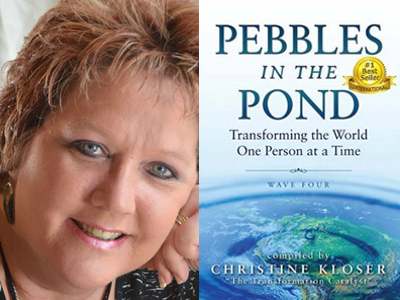 Congratulations to Diane Jackson featured in the #1 International Bestseller, Pebbles in the Pond – Wave Four! Diane Jackson is a Licensed Marriage Family Therapist, and the co-founder of a non-profit animal sanctuary, Peace For All Animals. A lifelong advocate for the humane treatment of humans and animals, Diane focuses on the human/animal bond and the transformative power of that relationship. She is committed to inspiring people to act with greater levels of compassion for all beings. 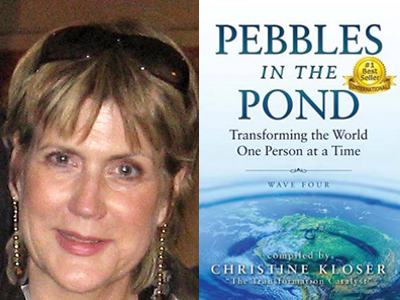 Congratulations to Susan Dascenzi featured in the #1 International Bestseller, Pebbles in the Pond – Wave Four! Susan L. Dascenzi, MSW, LCSW, is the CEO/Founder of True Visionaries, Inc., a heart-centered organization assisting those who want to quiet that negative internal voice through emotional mastery and freedom. An Emotion/Vision Coach, Licensed Psychotherapist, Author, and Speaker for nearly twenty years, she’s helped thousands of clients hone in on their core issues and facilitate change through her compassion, empathy, warmth, and humor. 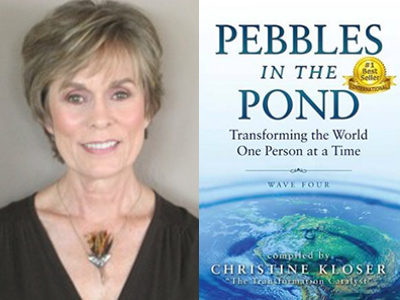 Congratulations to Pam Culley-McCullough featured in the #1 International Bestseller, Pebbles in the Pond – Wave Four! After retiring from a successful thirty-year career as a psychologist, Pam Culley-McCullough, Ed.D., heeded her inner spirit calling her to write the soon-to-be-published book, The Gold in the Darkness. In this riveting book, she chronicles her father’s journey through alcoholism to recovery and the unexpected transformation that led to their eventual afterlife connection.